Once the steam engine had been invented and used to pump water from mines or on railway locomotives, several steam-powered ships were built. Initially these were small vessels, trading along the European coast or on American waterways. 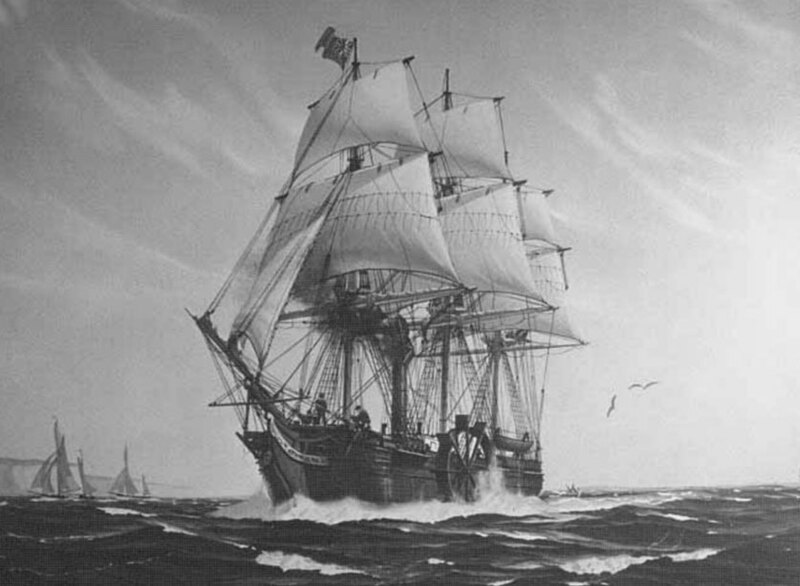 In 1818, the steamship Savannah was built for an American owner. Her steam engine powered a paddlewheel on each side. As the paddlewheel turned, it moved the ship along. She also had sails. In 1819, Savannah became the first steamship to cross the North Atlantic Ocean, a voyage that took about a month. She used her sails for most of the voyage. 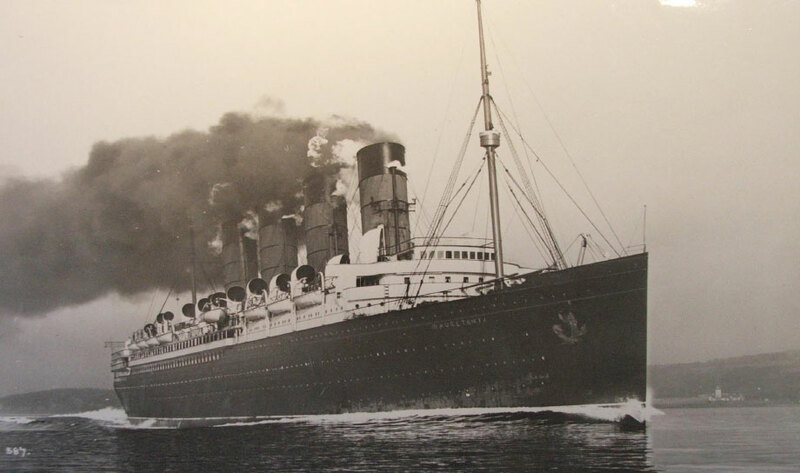 The 31-metre Savannah was the first steamship to cross the North Atlantic Ocean. Note the funnel and, on her side is the paddlewheel that propelled her. Another paddlewheel was on her starboard side. She also had a full rig of sails that she used when the wind was favourable, thus saving coal during her voyages. Source of illustration unknown. On Thursday 13 October 1825, the signal station atop Signal Hill in Cape Town mistook the first steamer to arrive at the Cape as a vessel on fire, and fired seven cannon shots, the signal for a ship in distress. (The signalman of course had not seen a steamship before!) Another ship in Table Bay went out to “rescue the crew from the burning ship” but as the vessel got closer, her crew realised that they were witnessing the arrival of a remarkable new invention! By the time the steamer, Enterprise, anchored in Table Bay, cheering crowds had gathered along the beach to see her, such was the interest in this new vessel. The steamers were not dependent on winds and currents. Although they needed to call at several ports during the voyage to fill up their coal bunkers, their routes between ports were more direct than the sailing ships taht were dependent on winds and currents. Although these early steamships offered distinct advantages , their coal bunkers took space and deadweight that could have been used for more cargo or passenger accommodation.They were generally more vulnerable to fire because of the furnace that had to be operated and coal sometimes caught fire spontaneously in the bunkers. Water is heated – in the case of the earlier steamships – by a coal fire; in the case of later steamships, by an oil fire. Steam under pressure produced from the heated water is compressed and moves a piston (or pistons) in a cylinder(a). The pistons then turn a shaft which turns paddlewheels (in the early steamships) or, following the invention of the screw propeller, the pistons turned a propeller shaft in later steamships. Design changes followed to make the steamers more efficient. One of the major changes was that the paddlewheels were replaced with a conventional propeller, linked to the engine by a propeller shaft. 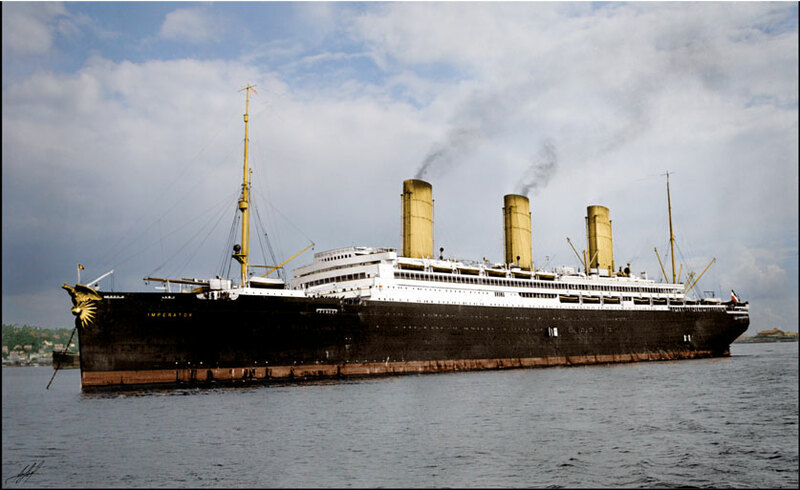 Further sophistication led to many steamships having two, three or even four main engines. Each engine was connected to its own propeller. Several boilers were required to supply the high volume of steam required. High speeds could be achieved in some vessels. 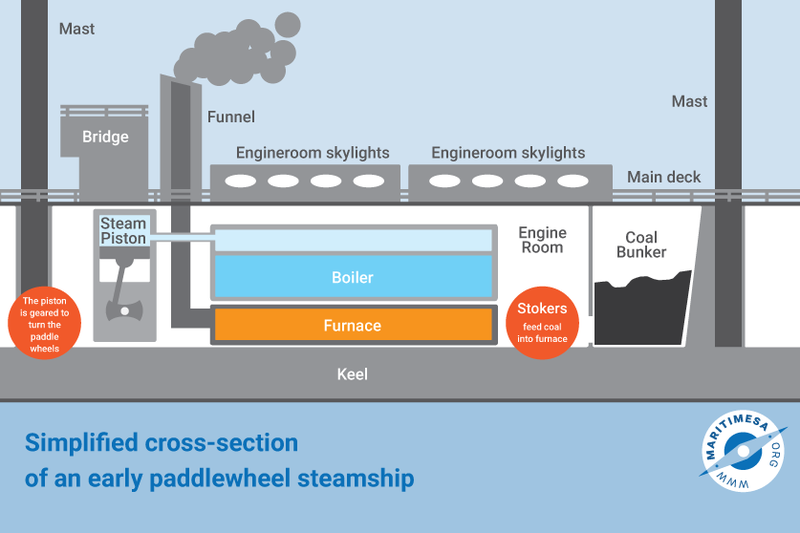 Later coal-fired steamships had steam turbines that are more efficient than the steam reciprocating engines. High pressure steam produced in the boilers turned turbines that, via gearing, drove the propeller shaft(s).